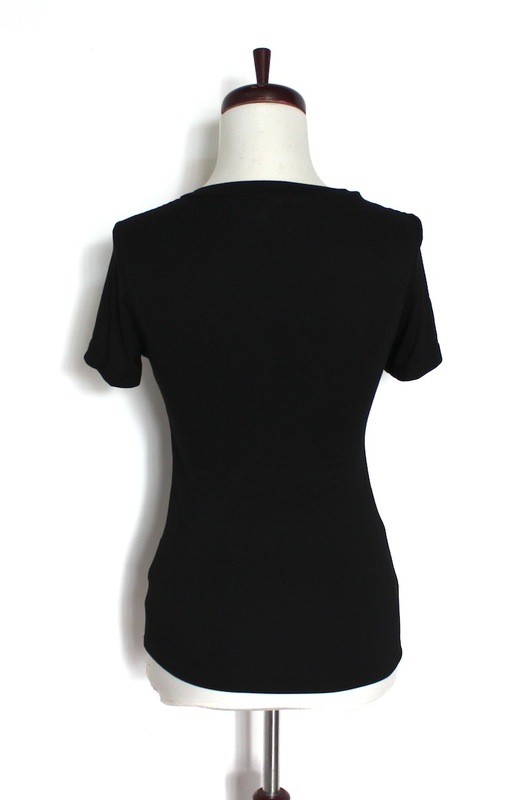 Black cotton. 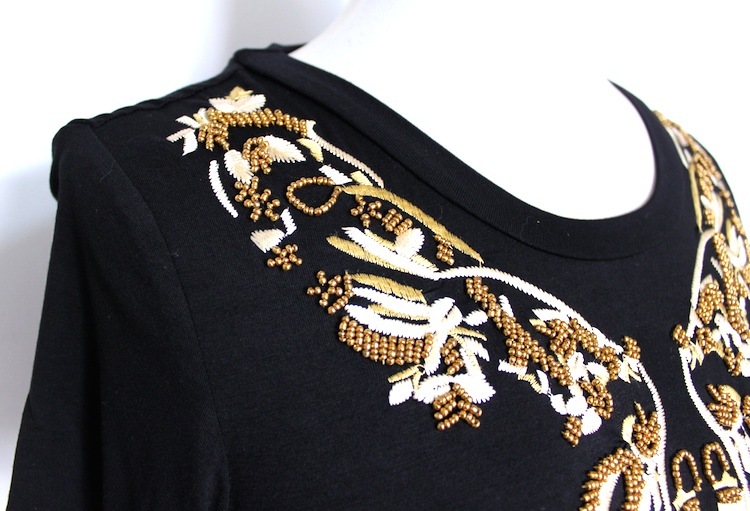 Gold embroidery, piping and bead embellishment. Slips on. 100% cotton. Dry clean.